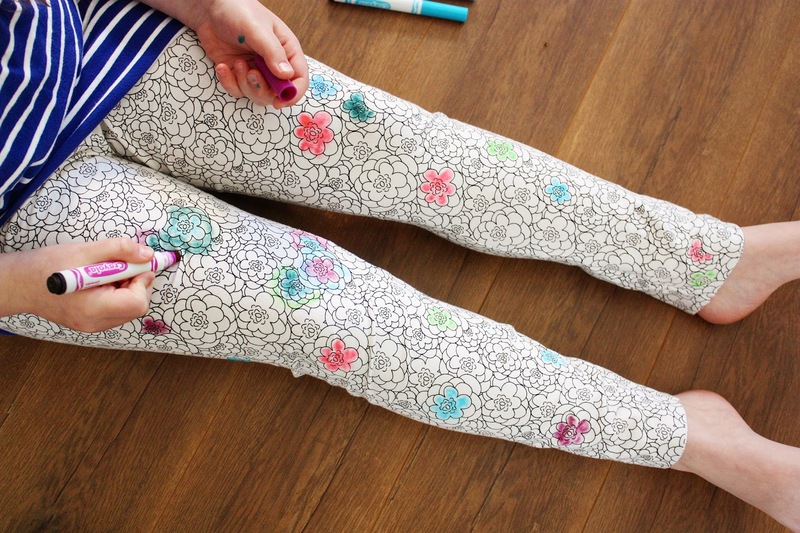 When I saw this cozy knit fabric from Sew Caroline's new line, Here Comes the Fun, all I could see was a canvas to color. I know most parents are anti-coloring on clothes but hear me out for a minute. 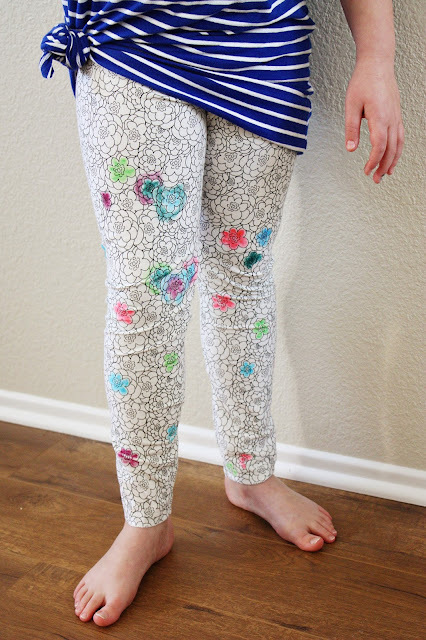 I started with a yard of Art Gallery knit fabric and used this tutorial by Dana from Made Everyday. 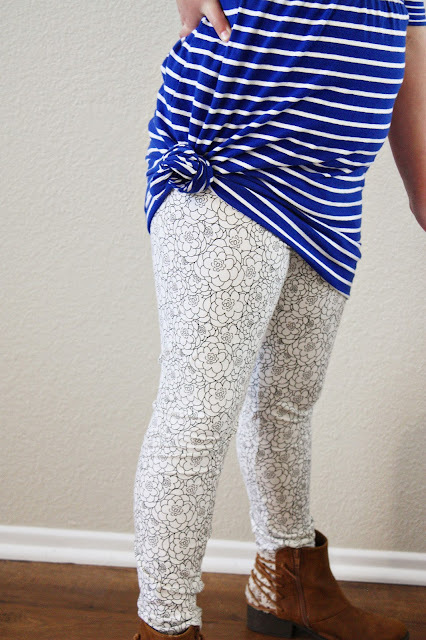 Just the leggings alone are adorable and the perfect neutral pattern for everyday wear. Here is where the fun comes in! We opted for washable markers so we can enjoy the coloring fun over and over again. I am going to have Zoe wear these on our next road trip for what I'm sure will be hours of fun. 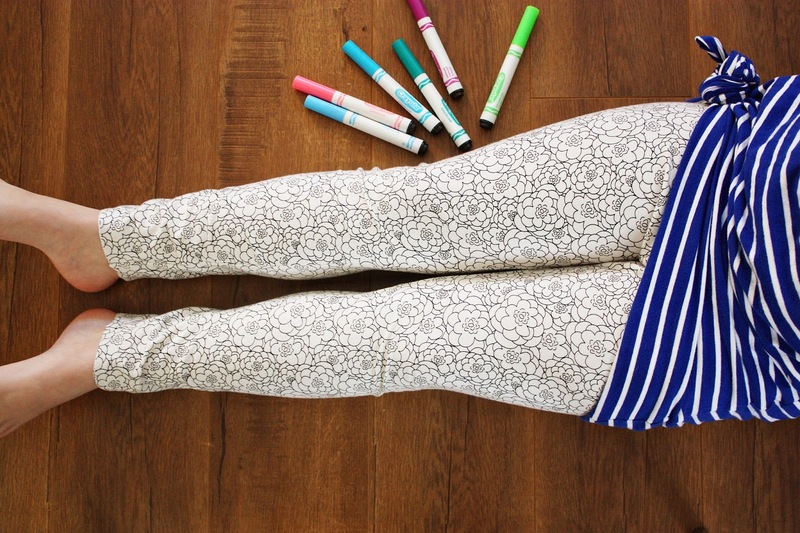 If you wanted to go to the custom colored leggings you could use permanent markers. This knit is so great, the colors did not bleed through at all. 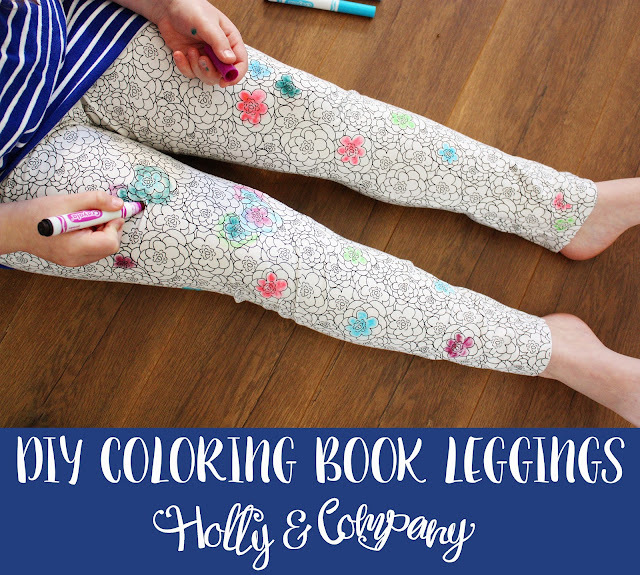 I know it seems counter-intuitive to let your kiddos color on their clothes but Zoe was so tickled to color them and then throw them in the wash to get them ready to color again! What do you think? Would you make leggings for your kiddos or even yourself to color on? Seriously?! I even want one in my size. 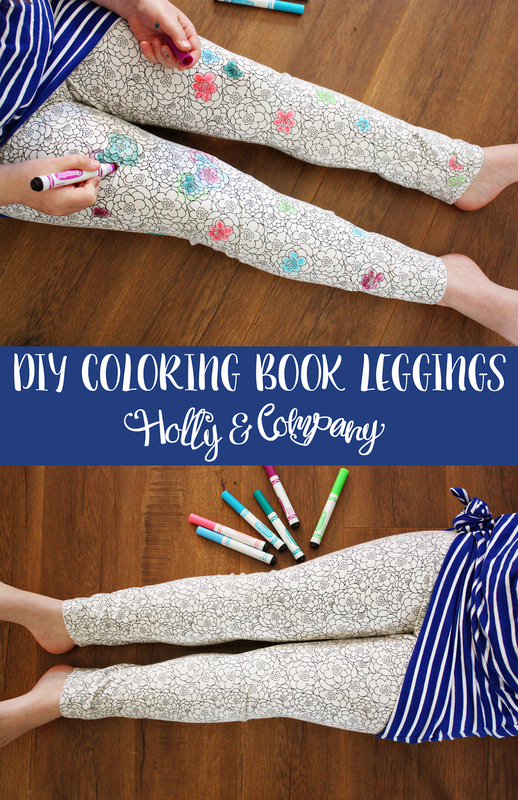 My nieces would love this!